If we really want to mark the meaning of the March on Washington of 50 years ago, we would do well to put aside the endless invocations of “the dream” and remember the harsher realities of race in 1963. But to understand fully the nature of that day, and what has happened in the half-century since, you need to grasp just how embedded the legacy of racial injustice was on the day of that march — and on the days, months and years that followed. 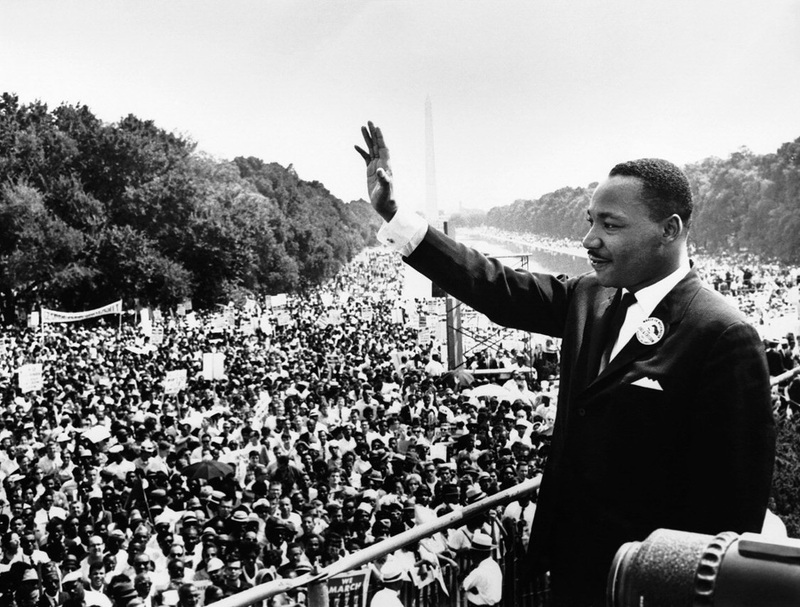 On the day King spoke, not a single African-American had ever sat on the Supreme Court, nor in the president’s Cabinet, nor (since the end of Reconstruction) in the United States Senate, nor as a chief executive of a Fortune 500 corporation, nor as a TV network news anchor, nor as the manager of a major league baseball, football or basketball team. President John F. Kennedy, whose election rested in substantial measure on a surge in black turnout in Pennsylvania, Michigan, Illinois and other closely contested states, had for more than two years temporized on civil rights, fearing that an energetic civil rights push would alienate segregationist Democrats in Congress who controlled most key committees. Only after racist lawmen turned police dogs on peaceful protesters in Birmingham, Ala., did Kennedy deliver a speech in June 1963 that described civil rights as “primarily a moral issue.” That, not so incidentally, was the first time any president had defined civil rights that way. President Dwight Eisenhower, who sent troops to Little Rock in 1957 to enforce integration, acted as the enforcer of a court order; he’d been privately critical of the Supreme Court’s desegregation ruling. And while the March on Washington was a triumph of peaceful protest, it did not ease the fears of much of white America, which continued to tell pollsters that African-Americans were pushing too hard, demanding too much. Before the first riots began to roil American cities, the push for integrated schools, and access to jobs and housing, stirred white uneasiness. By the time of the 1963 March, “backlash” was becoming a common political term. In Seattle and in Berkeley, not exactly the heart of Dixie, voters repealed fair housing ordinances. In Boston, a school committee member named Louise Day Hicks was emerging as a neighborhood hero for opposing integration. Others — in Philadelphia, in Newark, in Los Angeles — would follow. In 1964, Alabama Gov. George Wallace, running as a Democrat in three non-Southern presidential primaries, amassed significant votes, including 43 percent in Maryland. In the South, a poll taken two months before Kennedy’s assassination showed that in the 11 states of the old Confederacy, plus Oklahoma and Kentucky, Sen. Barry Goldwater was running ahead of Kennedy by a ratio of 59 percent to 41 percent. To be blunt about it, a major reason why the Civil Rights Act of 1964 became law was that Kennedy’s death became a powerful force for the law’s proponents. Lyndon Johnson’s Southern roots and mastery of Congress also proved indispensable. A leading civil rights foe, Sen. Richard Russell of Georgia, said later that he and his allies could have beaten President Kennedy but could not prevail against President Johnson. And in the years that followed, the South, once solidly Democratic, became something of a firewall for Republicans. Only recently have demographic changes begun to make states like Virginia, North Carolina and (perhaps) Georgia competitive for Democrats. Honoring the words of Martin Luther King is (as another great speech might put it) altogether fitting and appropriate. But the true measure of the mountaintop that King — and the country — had to climb was just how steep and rocky that mountain was.